This low-prep assignment tests your students' knowledge of Ancient China while getting them up and out of their seats. 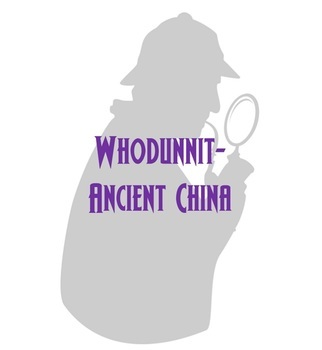 Challenge students to answer 10 questions about ancient Chinese geography, advancements, society and politics while solving a 'Clue' type mystery. This is a great content review before a quiz! Simply print out the student sheets and clue sheets and you're ready to go. Digital teacher directions, student work sheet, clue sheets, and answer sheet provided with this download.